It’s always difficult to know what to get the chairman, Mr Mitchell, for Christmas; however, last year whilst driving near one of our contracts (very lost) I came across the Bombay Sapphire distillery. It is in a beautiful setting as they have taken over Lavershott Mill (where all the English and even some Indian bank notes were once produced). It has been converted tastefully and had the distilleries installed, creating a fabulous educational centre (my type of education). As with all great present ideas, I needed to benefit too, so I also went along to help (cunning ploy on my part) one Saturday, with a responsible driver. 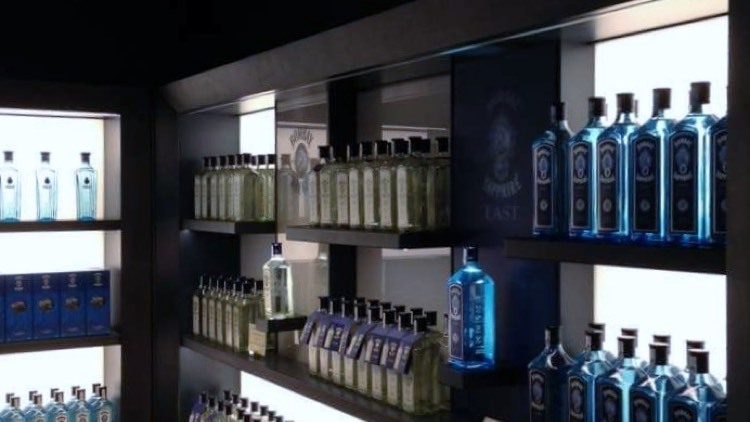 It was really interesting and indeed very educational, in fact fascinating, so I thought I would share some of the interesting facts I learnt about Gin. To be called a Gin it has to be of a neutral based sp irit and infused with juniper berries (if there are no berries it is just vodka!) and other botanicals such as herbs, roots and spices. The name Gin is from the French name Genever, which originated from Holland when the English saw Dutch soldiers drinking Jenever before battle; hence saying ‘Dutch courage’. First is Cold Compound Gin; this where you take the vat of spirit and add botanicals, leaving them to infuse and develop flavour. This is the way the vast majority of Gin is made, as it is relatively inexpensive to produce. Second is Distilled Gin; the only type that can be called London dry Gin as long as it is 37.5% alcohol and does not have any added sugar. The production process uses a copper distillery to heat the spirit to a vapour. This then passes through botanicals with the heat producing oils, causing infusion of the spirit, it then returns to a liquid as it cools. Some production companies add ‘flavours’ after the distilling process, but this can’t be called London Gin; it can only be given that title if it is flavoured during the vaporisation process. Gin should be tasted with equal measures of water and Gin in order to release the botanicals. 1: Hold up the glass to the light and the colour should be ‘water white’. 2: The second part is the nosing, which is when you take three ‘sniffs’ of the glass; you must keep your mouth slightly open so that some of the vapours can pass through back of nose to your ‘retro nasal passage’; this is to complete a fully rounded nose. With Bombay, it was the citrus that hit you first, followed by coriander, angelica and a hint of liquorice. 3: Sip and swish to get the flavour. Almonds are used, not necessarily for flavour, but because it creates a chemical reaction causing the silky smooth coating. So once the tasting was finished, we moved on to Gin based cocktails. Apparently a cocktail was defined in the past as anything containing spirit, sugar, water and bitters; however these days anything goes. Gin is primarily used for making cocktails and frequently mixed with other drinks… it is not a spirit you would have on its own. We had a session on the 3 basic types of cocktails – this was essential as Gin is used in more ‘classic cocktails’, than any other spirit. Ice, ice and more ice. If you use too little it will melt much more quickly and dilute your drink. Spank the mint against the back of your hand, this will raise the mint hairs on the leaves and release the flavour. Due to all of the ice, stirring a martini is not as easy as you think; the best technique is a push-pull movement, rather than a shove. The addition of an olive gives a slight hint of salt to enhance the flavour. I liked the ‘epicurean’, which is based on a cosmopolitan but using elderflower. St Germaine is one of the great elderflower liquors to use for cocktails. Gin is considered very medicinal and was once mixed by the Navy to stop scurvy. It has also been mixed with angostura bitters to settle stomachs or sold with tonic because of the quinine that tonic contains. The Spanish frequently mix gin with Cola. If you are wondering who the greatest consumers of Gin are (not me); the Philippines drink 43% of all Gin produced, which is considered the highest by far.